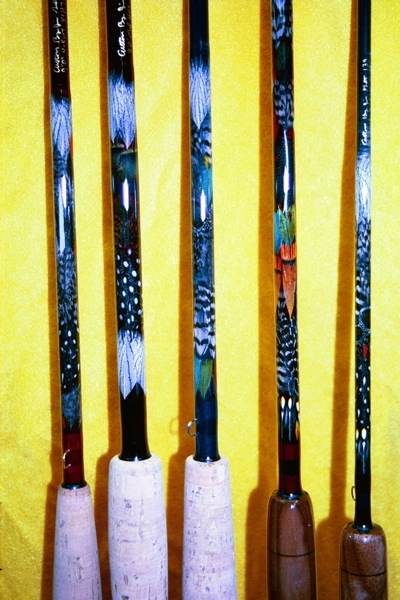 Exotic Feather Design to make your custom fishing rod distinctive! Available on most XLH70 Series, Reserve Power Series and Stealth Series. Additional charges of $110 apply. Color of feathers used will be neutral, earth tone, or brilliant colors determined based upon availability at the time of the order. You will not be disappointed! If you have a question, contact SignatureFishingRods.com directly be either email or telephone. 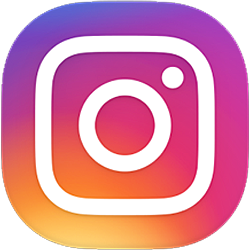 See the Contact Us page. Shipping may be delayed. Rods containing Exotic Feather Designs cannot be shipped to anyone outside the United States per US Custom Laws. Depending upon availability exotic feathers are selected from the Australian Junglecock, Silver Pheasant, African Vulturine, Ringneck Pheasant, Peacock Hurl, Parrot, Wild Chicken & Turkey, American Zebra Goose, Argus Pheasant, Palawans, Greys Peacock, Grouse, Brahama, Hen Capes, Tragopan, Empeyan, Himalayan Empeyan, Malayan Peacock, and occasionally other exotic feathers from around the world.